The Annual Fragrance Fair and Awards 2013 which presented 24 nominees across 5 categories namely Best Women’s Fragrance, Best Men’s Fragrance, Best Couple’s Fragrance, Best New Fragrance and Most Popular Fragrance, has concluded and now it's time for the awards presentation! 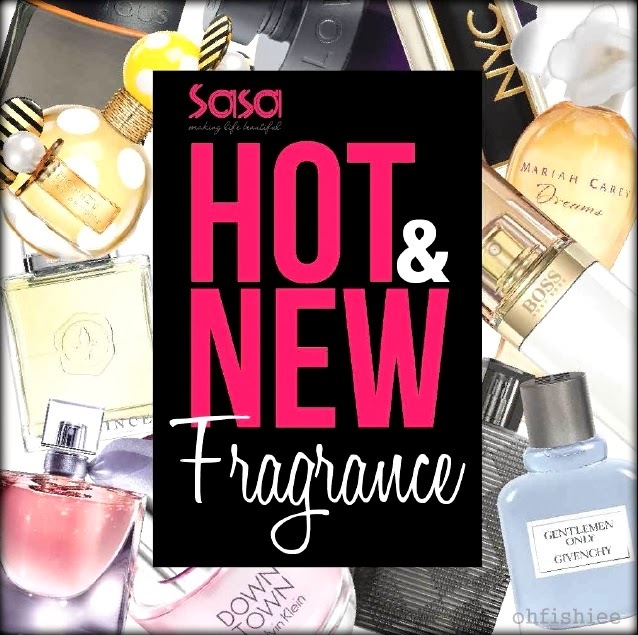 The Categories Winners were picked from the "Vote For Your Favourite Scent & Win" contest which has attracted many SaSa's customers in store and online for the prize of over RM 10,000 of the nominated fragrance totaling 39 bottles. Are you ready to know who are the winners? Congratulations to all the wining fragrances! Proceeds of RM21,136 representing RM 1 per unit fragrance sold from 6th July to 1st September 2013 is channeled to BCWA (Breast Cancer Welfare Association) to support SaSa's commitment for the good cause of Breast Cancer Awareness. Since 2008, SaSa has been supporting BCWA to fight cancer and promote early detection of the disease. Here are the prizes for SaSa fans who guessed the winning fragrances in five categories correctly, apart from the 33 fabulous prizes worth RM10,000 for lucky draw. which I managed to take a whiff of each during the fragrance fair. and Anna Sui La Vie De Boheme EDT. Out of 13 latest additions, CK Downtown is already in my collection, and I am going to get the bohemian-inspired Anna Sui fragrance next. Love its romantic and artistic bottle, and its rosy fruity scent! Also, thank you SASA for making my dreams grow higher with this sensual Mariah Carey Dreams!